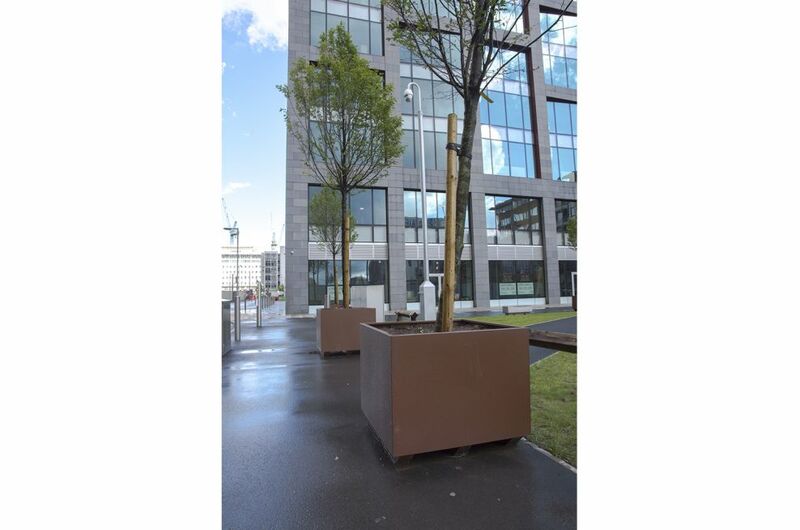 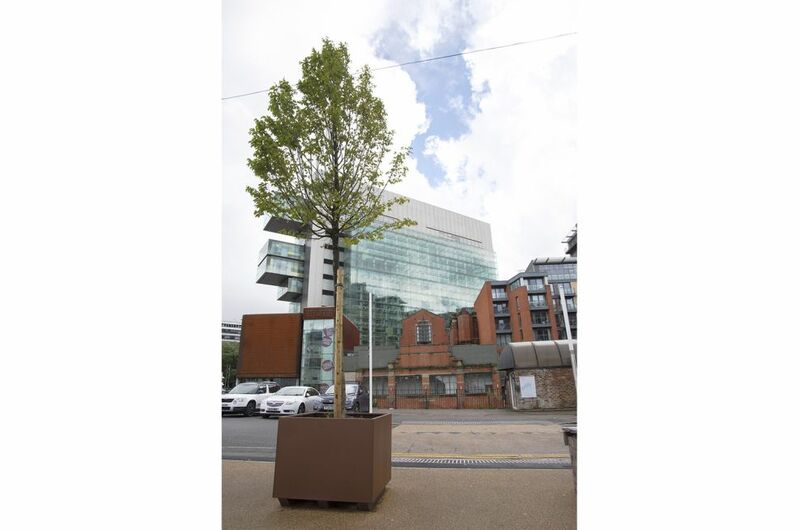 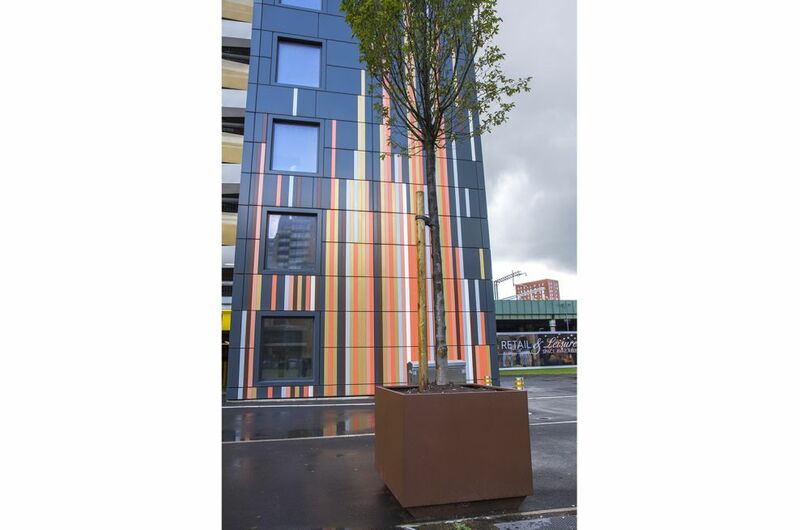 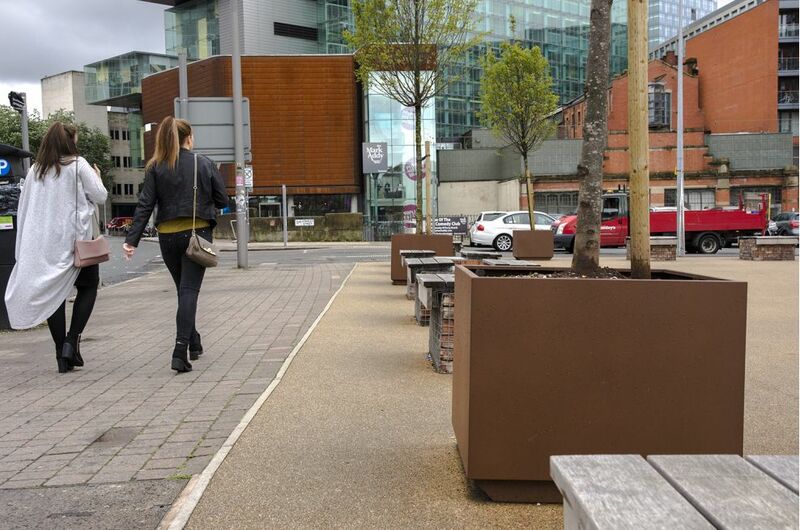 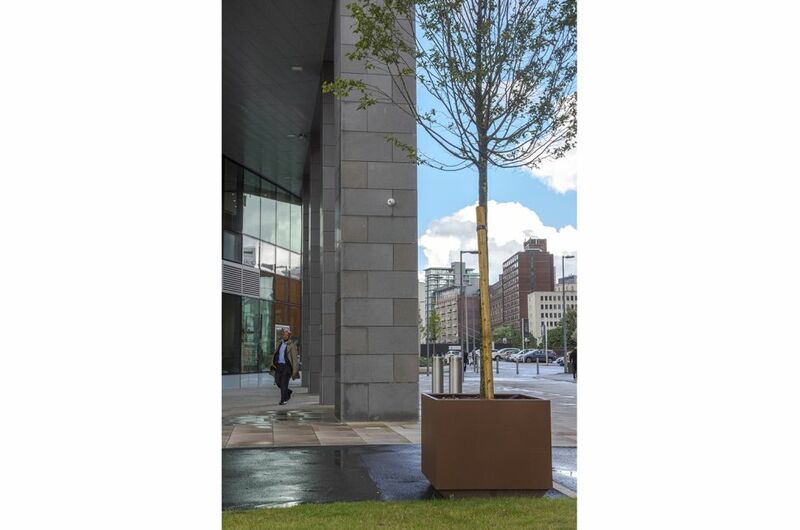 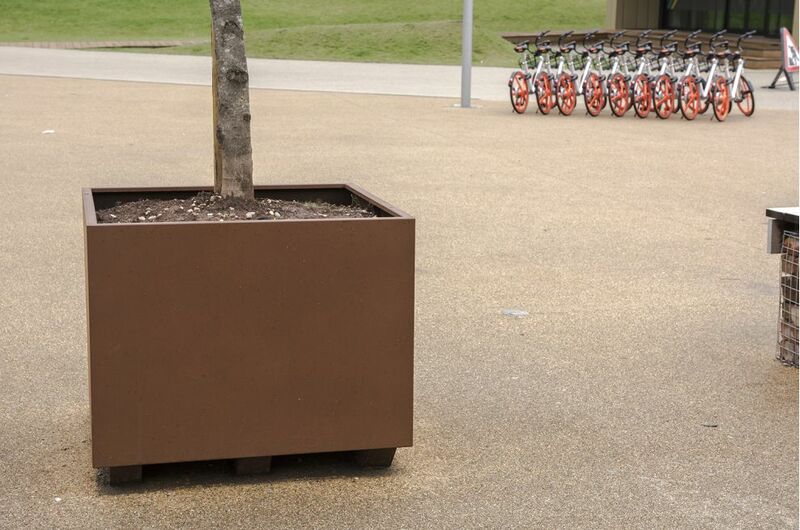 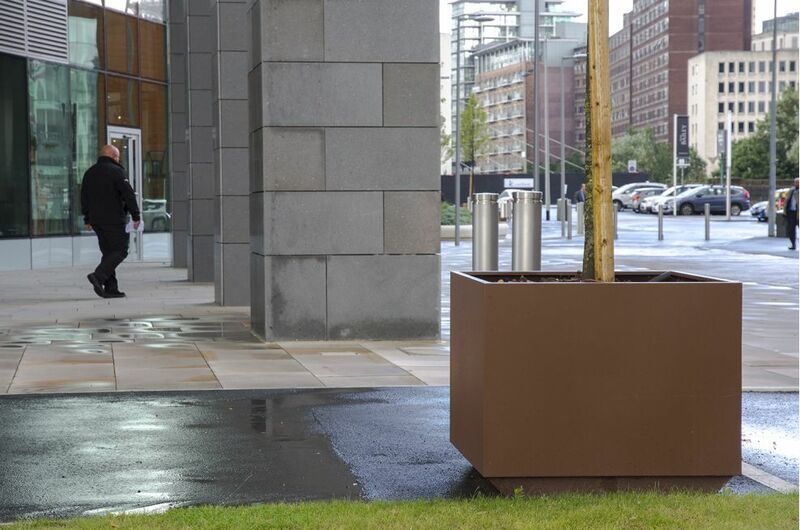 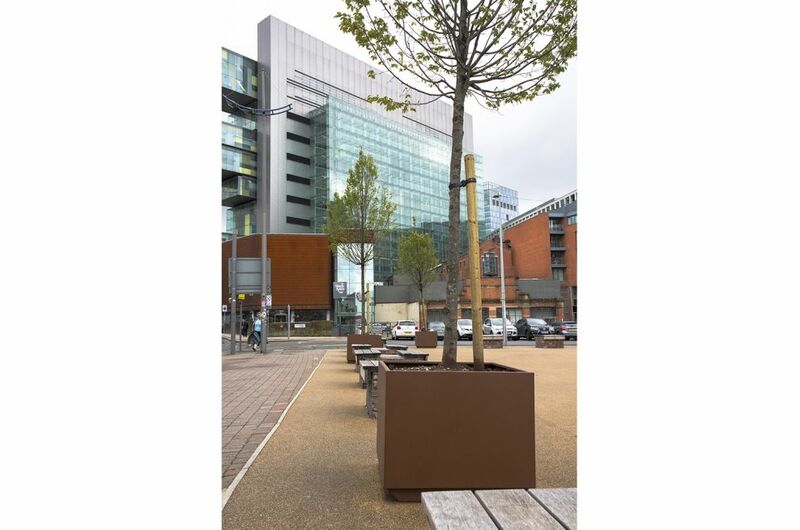 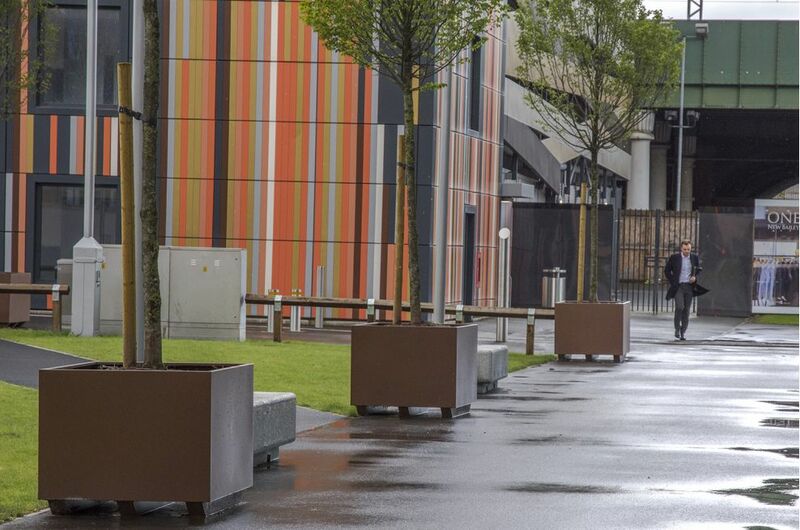 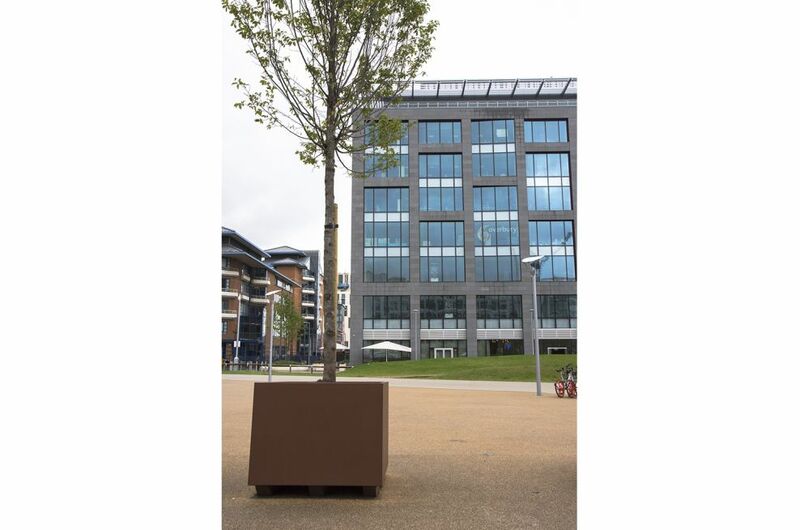 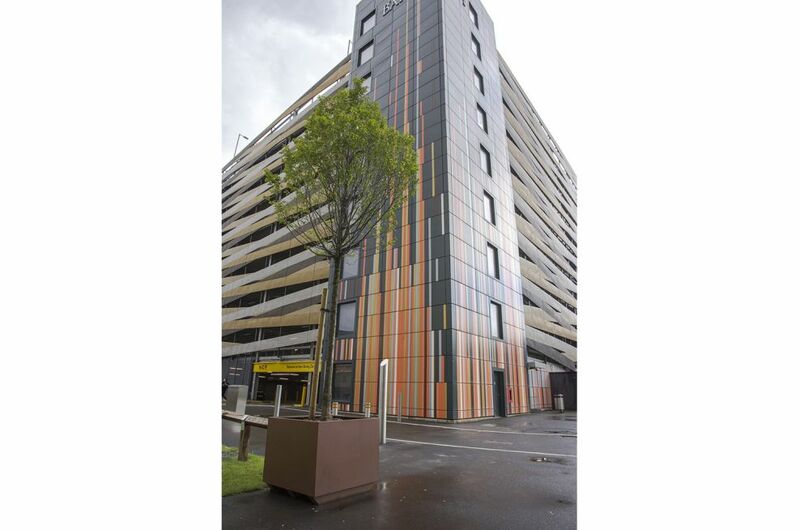 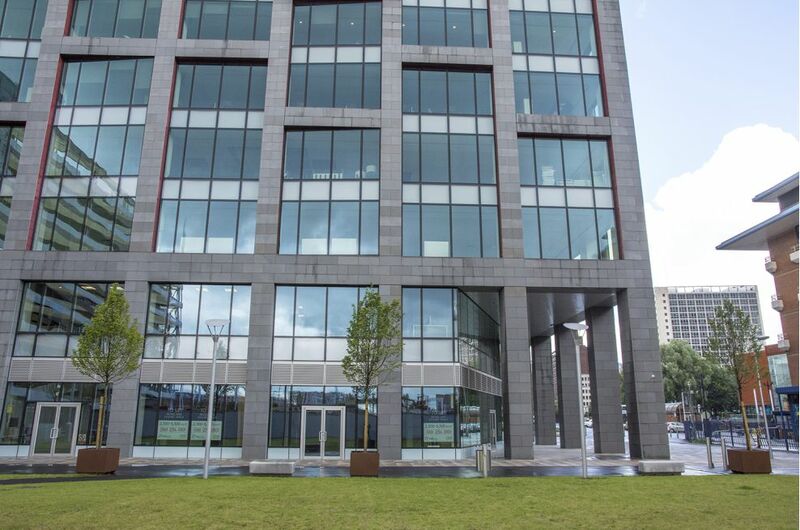 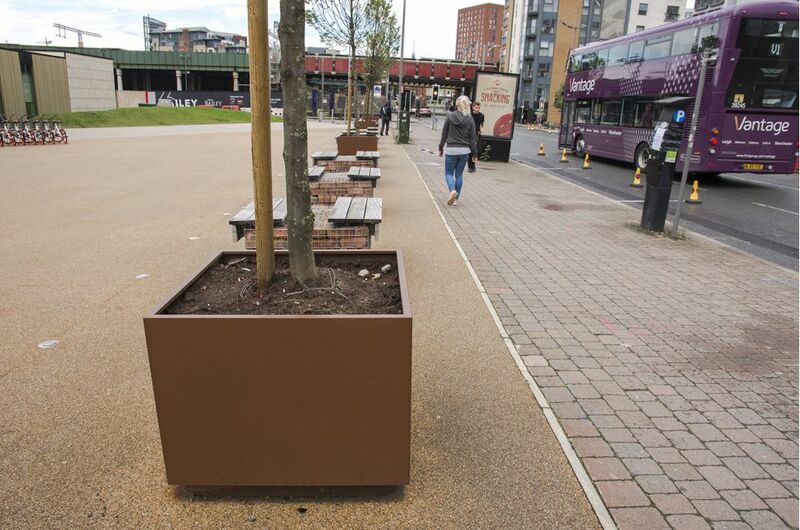 Bespoke steel planters were commissioned for the landmark New Bailey development in Salford. 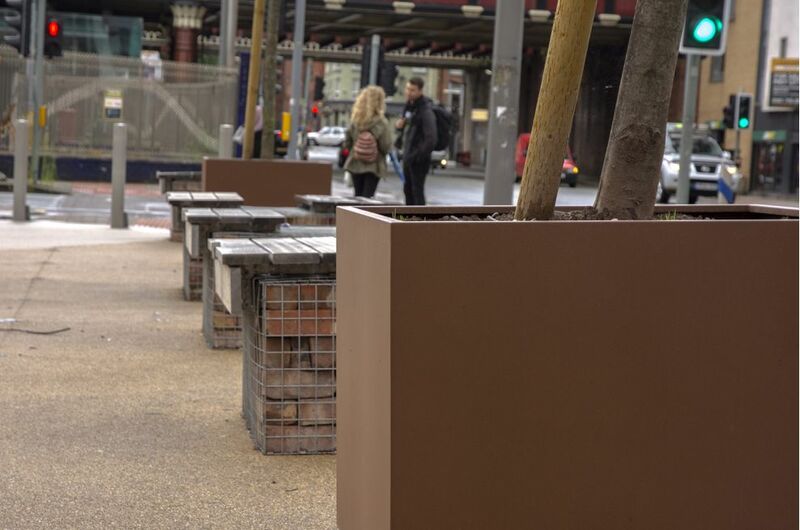 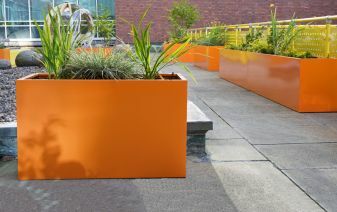 The L 940 x W 940 x H 700mm planters were manufactured from 2.0mm thick Zintec Steel, Polyester Powder Coated to Mars 2525 Sablé [YX355F] from Interpon's Collection Futura 2014 - 2017 range. 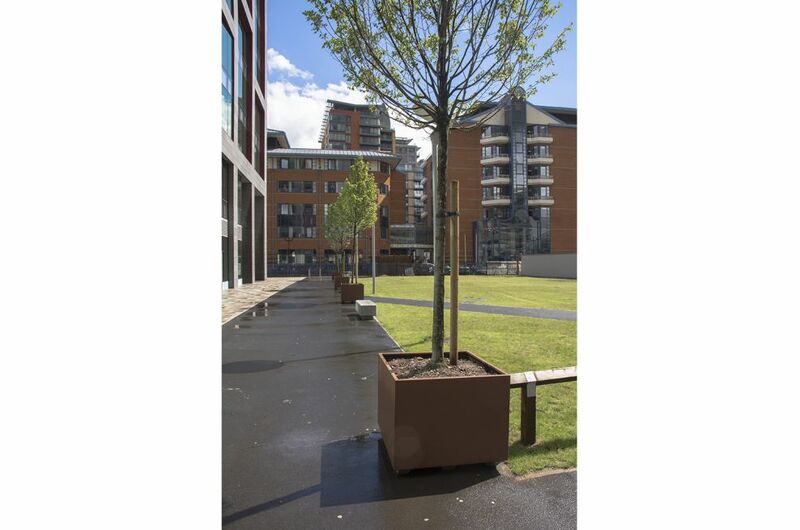 Designed to be both moveable and suitable for tree planting, the planter design included attachment points for a rootball anchoring system; plus H 95mm runners at the base, for movement via forklift or pallet truck. 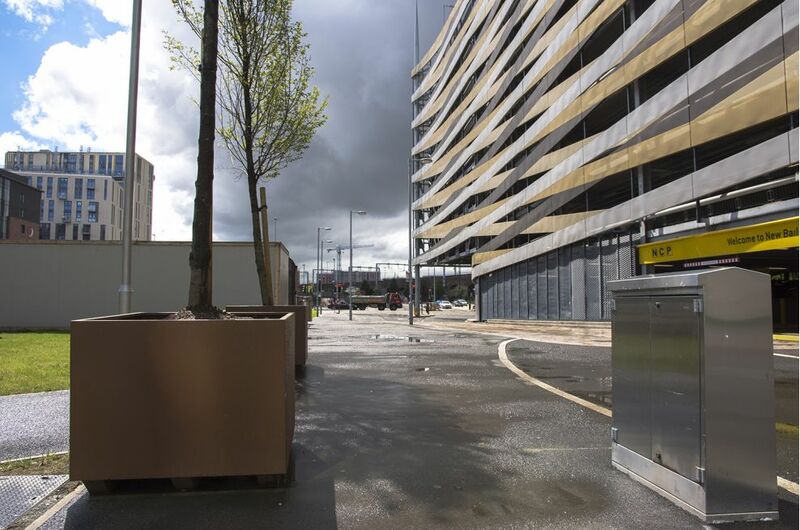 New Bailey is a landmark scheme in central Salford. 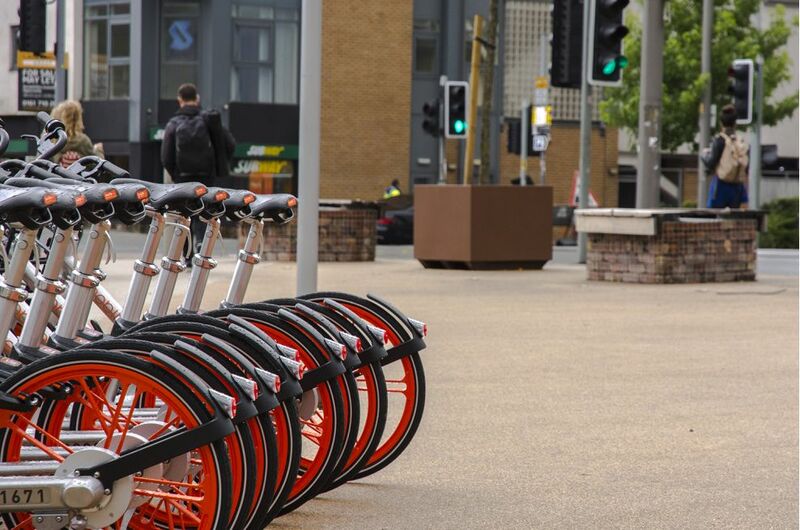 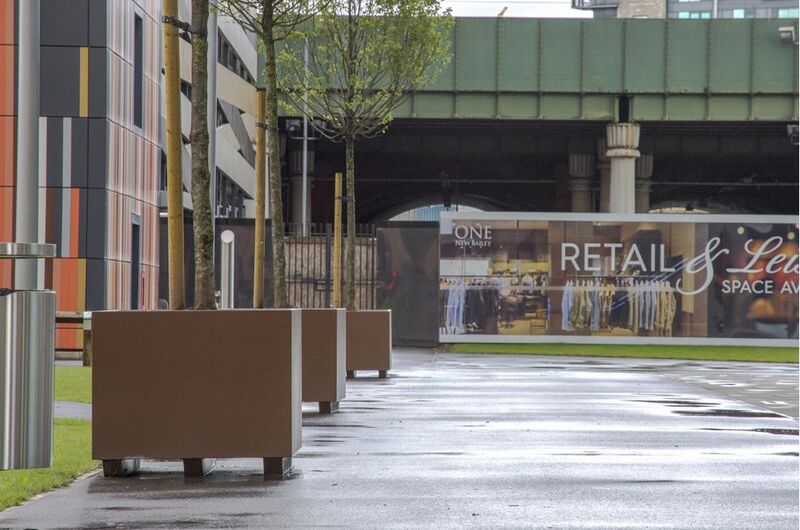 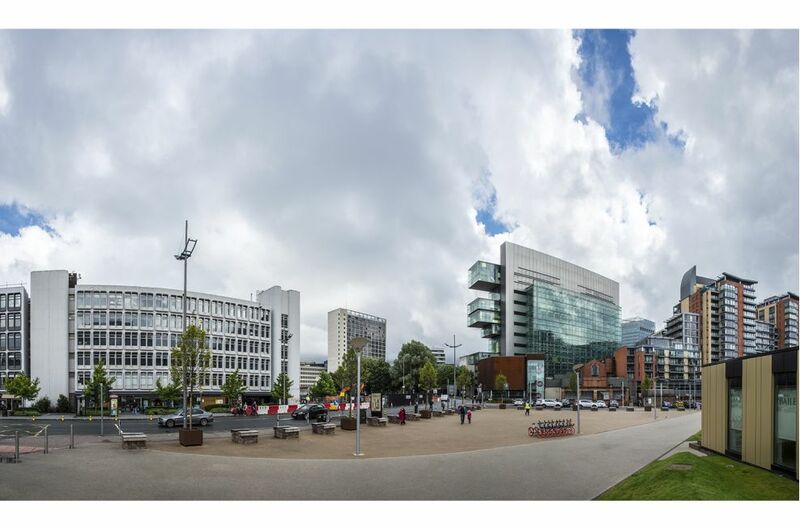 Covering a total area of 17.5 hectares, the New Bailey project will see around 1,000 new homes, 11,000 new jobs and 220,000 sq m of commercial space created; transforming former underused land into Salford’s new business district.